Or get the Halloween Deck & Book Set. Booklet included: Yes, 35 pages, 2.65 x 4.15 inches, 67 x 105 millimeters. Text by Karin Lee. 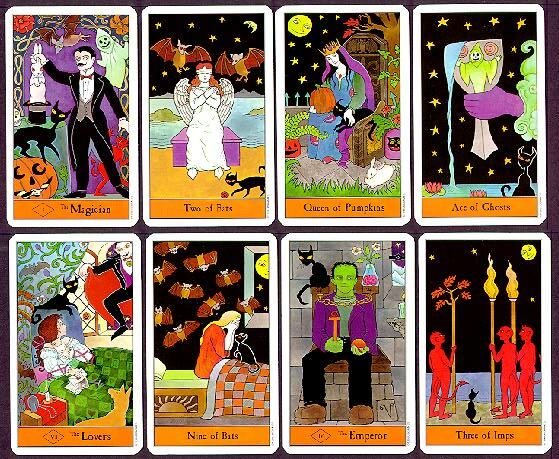 Book: THE HALLOWEEN TAROT, by Karin Lee, illustrations by Kipling West, $9.95. A fun, sometimes serious, companion to the Halloween Tarot. Interesting notes on the origin of Halloween in front.